Where will Cano be playing when he returns? When will Scott Servais receive a contract extension? What's it like to cover an All-Star game? 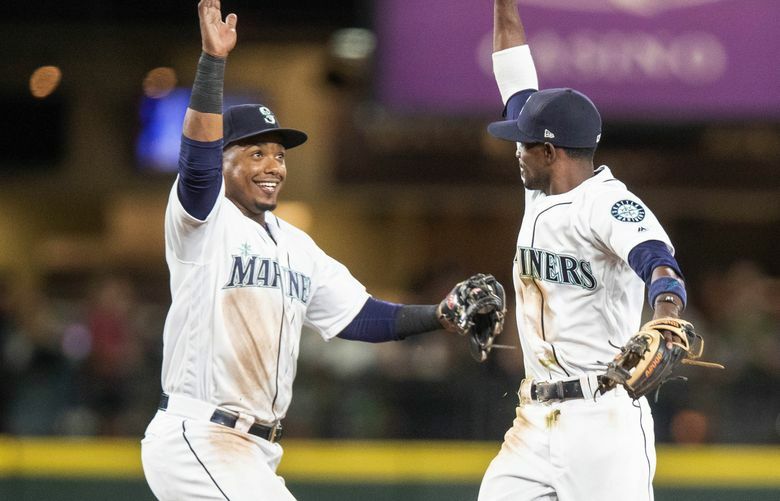 Mariners beat writer Ryan Divish and columnist Larry Stone discuss that and more on the latest Extra Innings podcast. ANAHEIM, Calif. — Now that someone’s cell phone battery has been fixed (hint, not Ryan), the Extra Innings podcast can resume its previously unpredictable schedule of random shows on the Mariners, baseball, the existence of life and other meaningful subjects with host Ryan Divisn and co-host Larry Stone. This week’s topics include covering the All-Star game in Washington D.C. and the logistics that go into it. That discussion transitions to the Mariners’ four All-Star selections, including the #SendSegura campaign that sent Jean Segura to D.C. The conversation then turns to Robinson Cano’s first meeting with the media since his being suspended for 80 games and what the plan will be with Cano going forward. From there, the subject shifts to the contract extension for general manager Jerry Dipoto and then the possible extensions for manager Scott Servais and designated hitter Nelson Cruz. You can also listen to the Extra Innings podcast via iTunes and Stitcher.